We all have our fears when it comes to technology. We all have our fears when it comes to technology. Imagine in the not so distant future you wake up to a world filled with zombies. 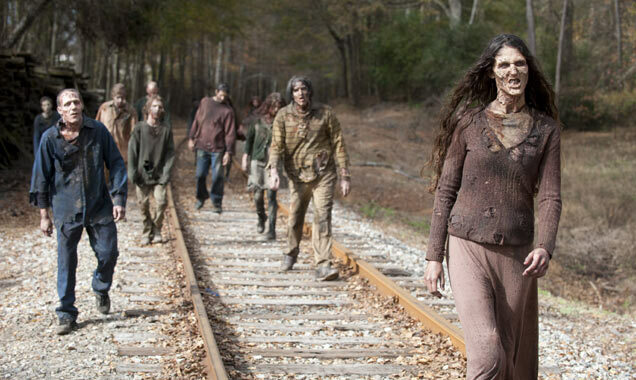 A hacker has hacked your Google eye implants skinning your world to look like an episode of “The Walking Dead”. Now you're faced with a dilemma - how are you going to tell the real zombies from the fake ones? Fortunately this scenario is one we don't have to currently deal with. But when it comes to hackers you want to be one step ahead. So the question is how do you protect yourself against hackers? While we cannot anticipate all the ways they may attack. The main way to protect yourself is by keeping your system updated with the latest security updates, operating systems and applications should be updated regularly. When it comes to your online accounts. You would want to use a strong password, you can also activate two-factor authentication on your Apple, Dropbox, Google, Microsoft, and Twitter accounts. Other ways to throw off someone trying to hack your account. When you answer a Security Questions you can come up with answers that are out of context with the question.